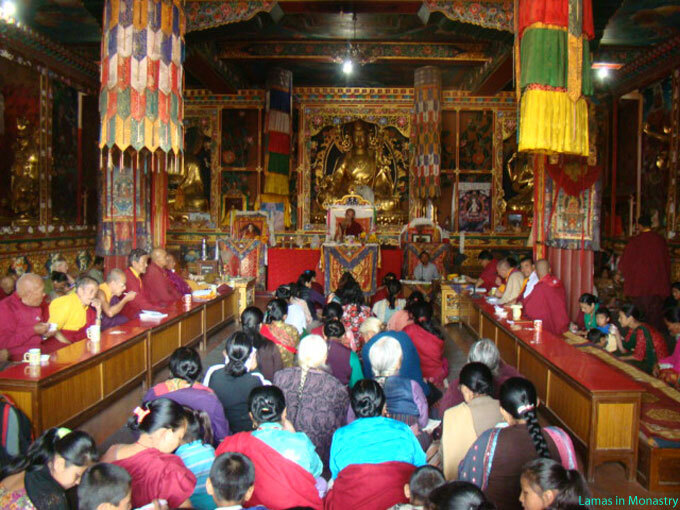 1 day private tour in the Kathmandu valley is the best tour package to explore beautiful Temples, Stupas, monateries, old Royal Palaces and the traditional city of the Kathmandu valley for individual and group of tourists. During the day tour, the tourists will visit Pashupatinath Temple, Swoyambhunath Stupa, Patan Darbar Square and Bouddhanath Stupa in the Kathmandu valley. Patan Durbar Square presents you the history of Nepal, including the temples, shrine, and beautiful carvings. The ancient Royal Palace is the main attraction of Durbar Square that consists of three main Chowks (courtyards) known as Mul Chowk, Sundari Chowk and Mani Keshab Narayan Chowk. The palace for Royal bath called “Tushhity” is a masterpiece of stone architecture. The three storied octagonal temple of Taleju Bhawani built in 1667 and a temple of Degu Taleju are within the Durbar Square premises. 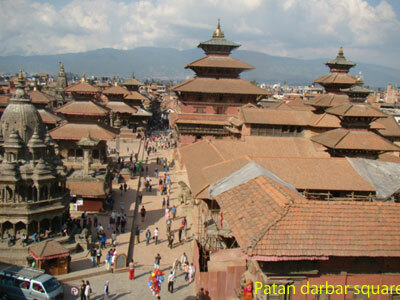 Patan is the oldest of three cities in the Kathmandu valley. It is the city of beauty which is famed for its wealth of Buddhist and Hindu temples with an abundance of fine bronze gateway and wonderful carvings. There are more than 1200 Buddhists monuments. Patan Durbar Square has been listed in the world heritage site by the UNESCO. Pashupatinath Temple is the biggest temple of the Hindu supreme Lord Shiva at the bank of the holy river Bagmati, 5km far from the city. This is a pagoda style Hindu temple made by bronze that has four doors in four directions. On the top of the temple, there is golden pinnacle with gold-glided ruff. The temple is decorated with valuable ornaments. There is no record when the temple was first built. According to Hindu text, the existence of this temple was also in second century which was renovated many times. The present temple was built in 17th century. 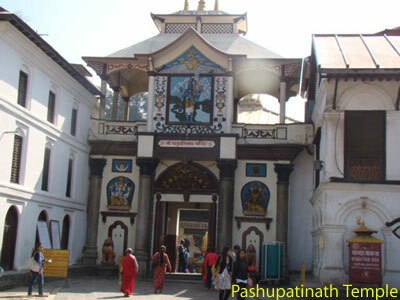 Pashupatinath temple has been listed in the UNESCO World Heritage Site in 1979. Behind the temple there are many cremation grounds called “Aryaghat”at the bank of Bagmati River. Most of the Hindu people want to be cremated in this place after their death. Bouddhanath Stupa, constructed in Mandela shape, it is the biggest Stupa in South Asia. This Buddhist monument was built in 5th century but renovated time to time. It is about 130ft height with about1600ft circumference surrounded by the brick wall. There are 147 niches with the preying wheels on the wall. 'Om Mani Padme Hum' written in the Praying Wheels is the Buddhist chanting to get the merit of worship in the name of god. Bouddhanath looks like a small Tibetian village. As it is also a meditation instrument of Buddhist, a crowd of people walk around the Stupa to worship the god and meditate. Bouddhanath Stupa has been listed in the UNESCO World Heritage Site in 1979. Swoyambhunath Stupa is one of the most famous and beautiful Buddhist Stupas or Maha Chaityas on top of the hill surrounded by the small forest in Kathmandy valley. It is 2km far from the main centre of Kathmandu city. Some people call it as monkey temple because the huge numbers of monkey reside here. The views of Kathmandu valley is wonderful from Swoyambhunath which is listed in the UNESCO World Heritage Monuments. Cost: USD 50.00 for 1to 3 person in a car. Cost: USD 75.00 for 4 to 8 person in a jeep. Tour starts at 09am and ends at 4pm everyday . The departure and ending point of the tour is Tridevi Sadak, in front of the Himalayan Bank Limited, Thamel Kathmandu or from your hotel. Drive to Bouddhanath Stupa-lunch break for 45 minutes -sightseeing for about 30 minutes in Bouddhanath. Drive back to Thamel or your hotel.